Dockers Women's Oversized Rectangular Sunglasses Just $5.99! Down From $32! 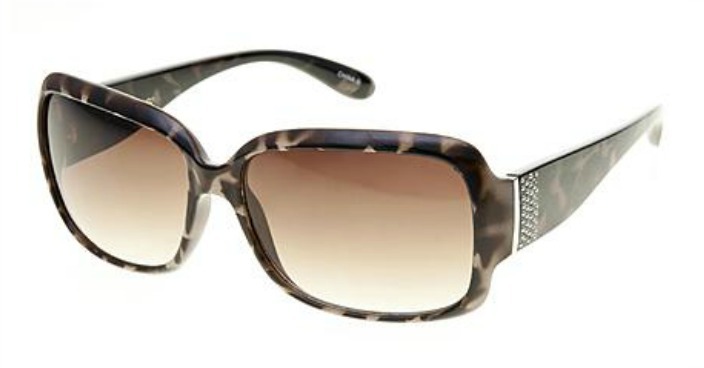 You are here: Home / Great Deals / Dockers Women’s Oversized Rectangular Sunglasses Just $5.99! Down From $32! Dockers Women’s Oversized Rectangular Sunglasses Just $5.99! Down From $32! Sears has these Dockers Women’s Oversized Rectangular Sunglasses for just $5.99! You will look snappy in these women’s oversized rectangular sunglasses from Dockers, which also keep you comfortable under the sun. The plastic tortoiseshell frames support brown gradient lenses for a look that’s flashy and practical. Stud accents at the temple finish off this look you will be ready to flaunt.